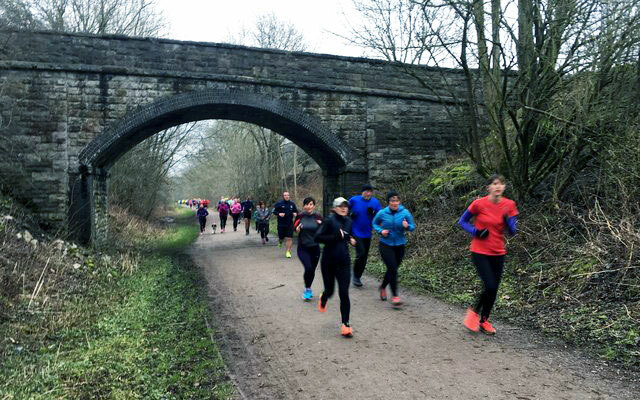 Come and join us every Saturday morning (9am) on the Monsal Trail (Bakewell) parkrun. Starting and finishing at the Hassop Station cafe. Fancy a snack before or after? Check out the Hassop Station cafe menu. All runners welcome! The course is at Hassop Station, Hassop, Bakewell. The course is run entirely on trail paths. Some sections of the course may accumulate mud, leaves and puddles after rain. Dependent on availability, marshals will be at key sections of the course, or signs will be in place. Before taking part in the Monsal Trail (Bakewell) parkrun please register here. Out and back course on the Monsal Trail. Start and finish are in the same place by Hassop Station. Tea, coffee, breakfast and fuel available in the Hassop Station cafe. On-site parking: Free for cafe users. eBike Hire! Why not try an electric bike after your run. It's electric, you're legs will cope.